North End Writers promotes creative writing and its many benefits; as a registered charity it seeks to promote, maintain, improve and advance education by the encouragement of the literary arts and creative writing in all its forms, particularly amongst people resident in North Liverpool. The charity runs projects, organises events, holds regular writers meetings and produces publications with the help of its members and friends in North Liverpool. 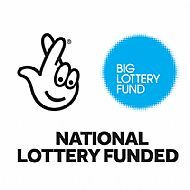 We are delighted to have received support for our Liverpool Community Writing Project 2018 from the National Lottery. The Redbrick Writers (for young people aged 18 - 29), the Knotty Ash Writers and a hub at our community bookshop L14 2DB. It also includes dedicated new Tutor support for our Community Writing group at the Victoria Gallery & Museum - which meets on second Saturdays at 11 am. If you want to develop your writing simply for the joy of it - or you have a special project in mind - please get in touch with us or come along to one of our meetings. Our monthly meetings are held on second Saturdays at the Victoria Gallery & Museum. Knotty Ash Writers meeting: September - October alternate Thursdays 3 pm - 5 pm at our community bookshop, 277 East Prescot Rd., From 1st November the group will meet at Lowlands, West Derby. The workshops for the Redbrick Writers (aged 18 - 29) will be held at the Victoria Gallery & Museum in the Autumn (dates to be announced). Our next community meeting is at the Victoria Gallery & Museum, Liverpool on Saturday 10th November 2018 starting at 11:00am. The next meeting of our Mossley Hill Writing Group (for Mersey Care service-users only) will be on 12th November. The next Life Rooms (Walton) Writing Group meeting is 28 November starting at 10.15 am. Our all-day National Poetry Day event was held at the Life Rooms, Walton on 4 October from 11 am - 4 pm. Our AGM will be held after the Community meeting at the Victoria Gallery & Museum on 8th December 2018. Our Christmas party will be at St Michael's Irish Centre on Tuesday 18th December 7.30 pm - 11 pm. Membership is free and we welcome everyone who shares our aims, and is interested in writing, to our groups, events and activities.